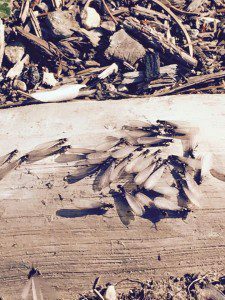 Are those termites or flying ants? Is that a termite? Flying ants don’t eat your house, but termites do. Here’s how to know the difference. 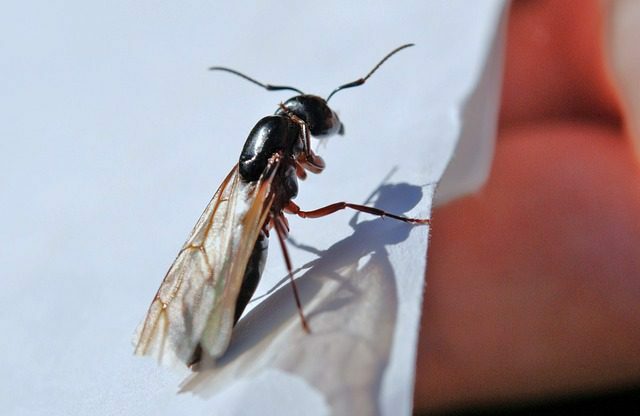 Flying ants have a body shape like an ant. Ants have three distinct sections. Their antennae do not come directly forward, they bend. 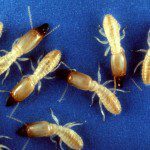 Termites, on the other hand, have a middle section that is as wide as the back, making for a long, thin back body. It is more the shape of a capsule-type pill. Termite wings are long, evenly sized, and fold toward the back. Their antennae are straight. Try to trap one in a jar for easier identification. If you are not willing to get that close, call an exterminator. 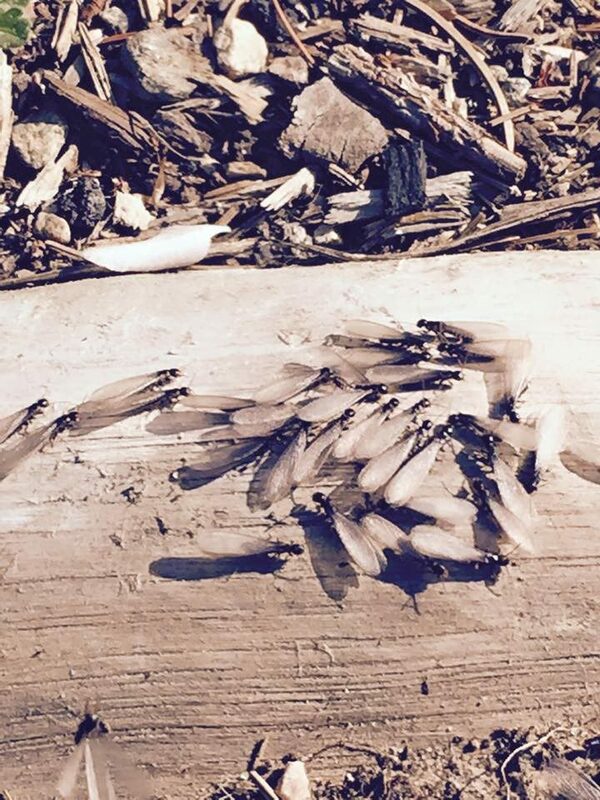 Termites fly around during the warmer weather. It is the only time you will see them above ground. 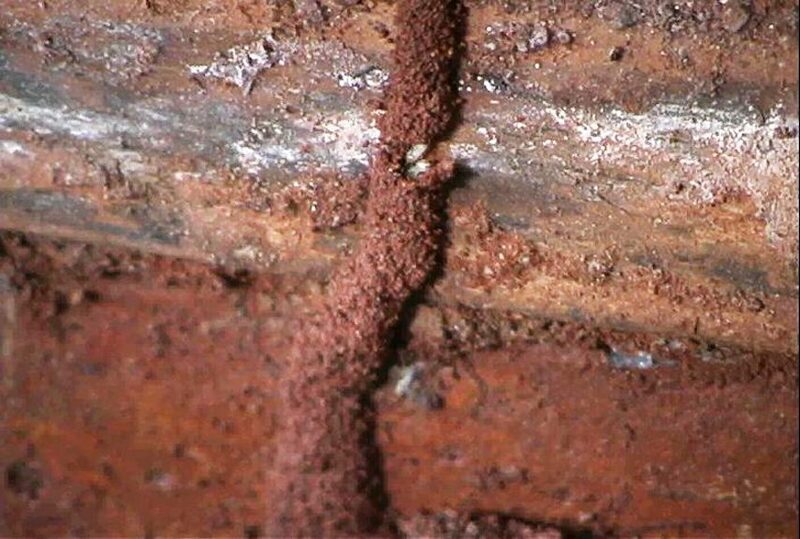 Most of the time, termites are found by noticing their pathways from the ground onto wood. 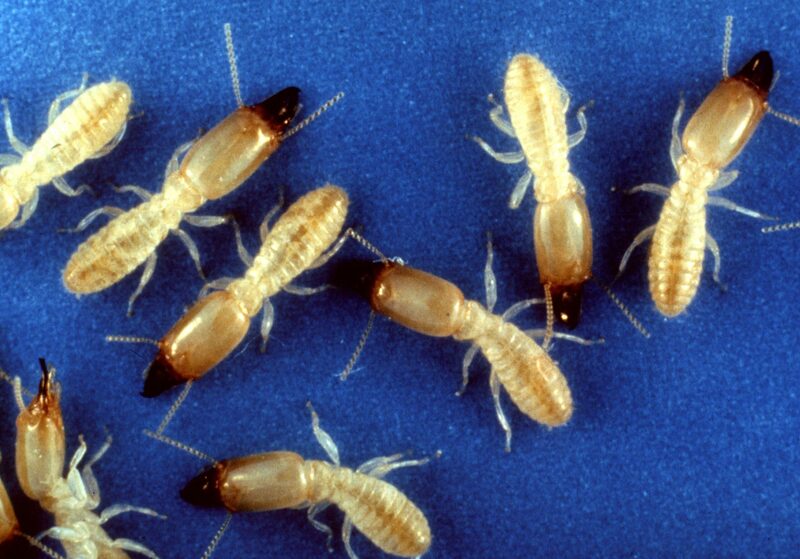 Adult termites can’t live in sunlight. They live underground and bring soil with them to the nearest wet wood. Looking for these mud tunnels twice a year is a good practice for a homeowner. If you are unsure, exterminators provide a service plan where they do it for you, for a fee. Preventing termite and carpenter ant damage is a matter of limiting wet wood. Anywhere that wood is touching the soil, you may attract termites and carpenter ants. Both like their wood damp. Shingles that touch the ground, the garage sill that is on the ground, wood embedded into basement floors are all prime dining spots for the insect crowd. The most common places that I see termite damage is in wood garages where the frame is right on the ground or the shingles go all the way to the ground. On/in the house, I see damage under the basement stairs, at the middle basement wall, and along the foundation sill of the house. 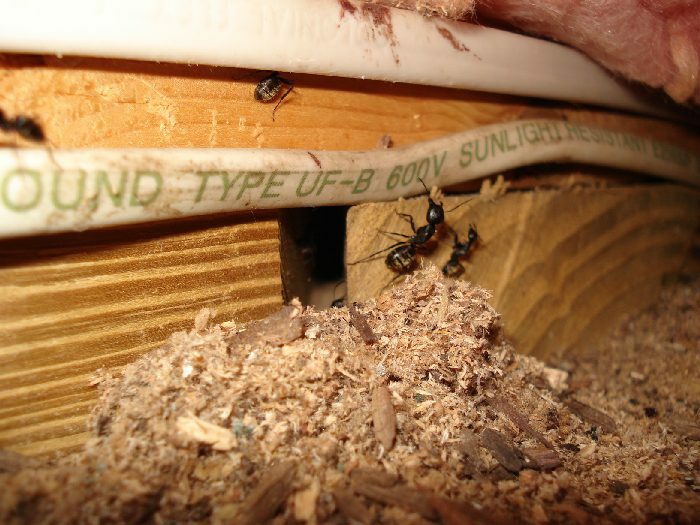 Carpenter ant damage can be detected by looking for “frass” (looks like sawdust.) Carpenter ants nest in wood, so the hollow out a piece of wood and leave the frass outside. Carpenter ants are cheaper to exterminate than termites. Either kind of insect can do a lot of damage, over time.